Enjoy the best inspirational, motivational, positive, funny and famous quotes by Anwarul Karim Chowdhury. Use words and picture quotations to push forward and inspire you keep going in life! What matters is the people. 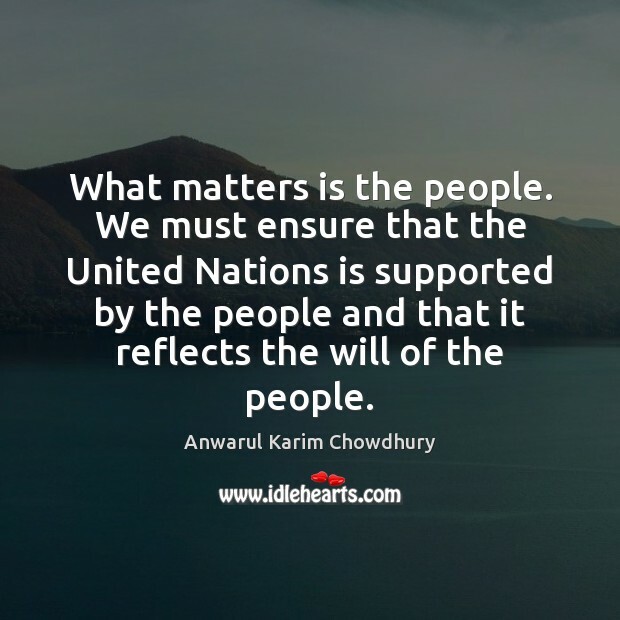 We must ensure that the United Nations is supported by the people and that it reflects the will of the people. If we desire peace, we must prepare for peace. 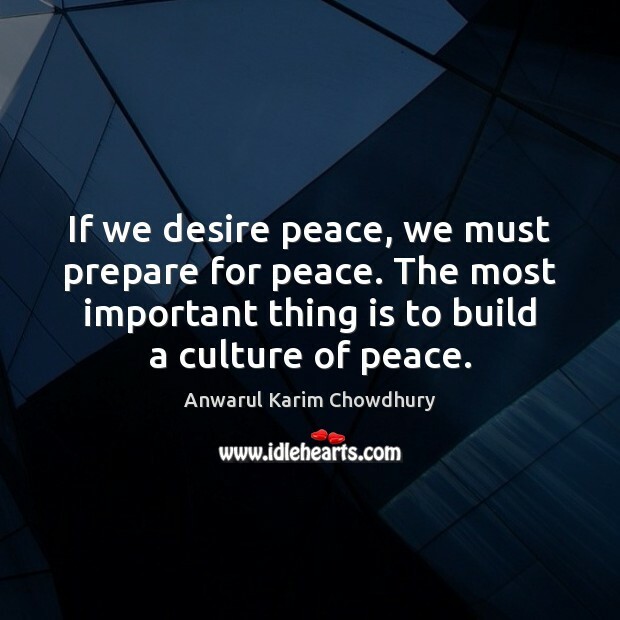 The most important thing is to build a culture of peace.